Home / News / Ex-Nigerian president, Olusegun Obasanjo: "Nigerian Churches Are Encouraging Corruption"
Ex-Nigerian president, Olusegun Obasanjo: "Nigerian Churches Are Encouraging Corruption"
A former Nigerian president, Olusegun Obasanjo, has said that the activities of church leaders are contributing to the rampart cases of corruption across the country. Speaking on Saturday at the convention of Victory Life Bible Church International in Abeokuta, Ogun State, Mr. Obasanjo said fighting corruption should not be a one-off affair because it would bounce back with vengeance. There is no doubt that all our institutions have been tarnished by the brush of corruption, Mr. Obasanjo, a retired army general, said in his speech titled ‘The Role of the Church in the Fight Against Corruption in Nigeria. If the Church, as an institution, does not take bribe or get involved in other corrupt practice, the behaviour of some of our men of God leaves much to be desired. They not only celebrate but venerate those whose sources of wealth are questionable. They accept gifts (offering) from just anybody without asking questions. This gives the impression that anything is acceptable in the house of God. Mr. Obasanjo, who was represented at the event by Femi Olajide, the chapel of Olusegun Obasanjo Presidential Library’s Christ the Glorious King Church, called on the Church to clean its Augean stable in order to restore its holiness. He also advocated that prosperity messages be preached with caution and moderation. Our present day ‘money changers’ and ‘merchants’ must be chased out of the Church and put to shame in the larger society. While miracles, signs and wonders are the expectations of true believers, such must be based on righteousness. To preach that one can acquire wealth without labour is not only deceitful; it is a call to corruption. It is false preaching and it is sinful. We must be careful in believing and celebrating every testimony of miraculous blessing, hence we end up being hoodwinked into celebrating corruption. Mr. Obasanjo, who was president between 1999 and 2007, said he took a “bold step” to curb corruption, adding that the fight against corruption was made a “top priority” during his administration. He also said his government never lacked the political will to support the Economic and Financial Crimes Commission and the Independent Corrupt Practices and other Related Offences Commission, two anti-corruption agencies Mr. Obasanjo created. He further said the rise of public administration and the discovery of oil and natural gas were two major events that increased corrupt practices in the country. 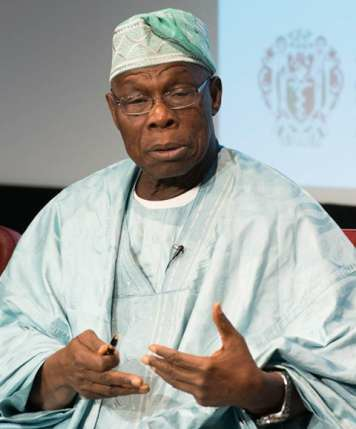 “The government has tried to contain corruption through the enactment of laws and the enforcement of integrity systems, but success has been slow in coming,” Mr. Obasanjo said.